Judwaa 2 will be the remake of Salman Khan, Karishma Kapoor, Rambha’s 1997 super hitJudwaa. Like the original one, this one will also be directed by David Dhawan. This will be the second time Varun Dhawan and David Dhawan are collaborating. They have earlier worked together in Main Tera Hero. The remake will have the same basic story-line with a few changes and Varun Dhawan will be having a double role. Though nothing officially has been announced regarding the actress who will be the part of the movie, there are reports that producer Sajid Nadiadwala is keen on casting Jacqueline Fernandez and Parineeti Chopra in the movie. Jacky will be playing Karisma Kapoor’s role while Parineeti will portray Rambha’s role. Well, we need to wait for the official announcement. Judwaa 2 will be Varun’s second release in 2017. The actor is currently busy with the shooting of Badrinath Ki Dulhaniya which is slated to release on 10 March 2017. 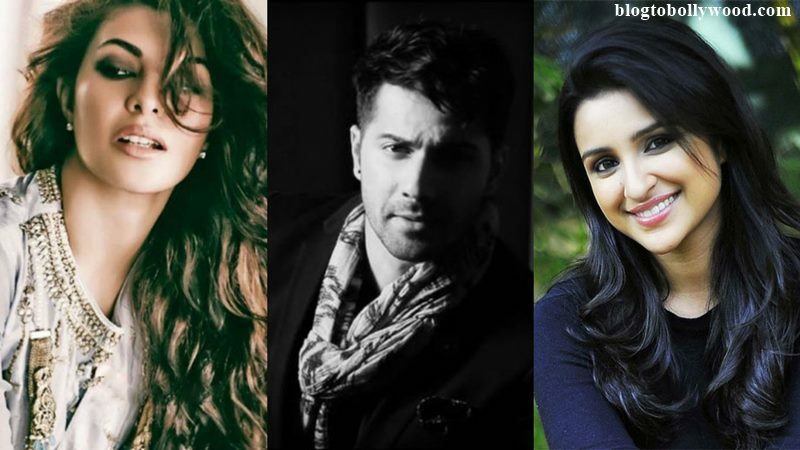 Judwaa 2: Parineeti Chopra, Ileana D’cruz to star opposite Varun Dhawan? Magic Shoes Of Salman Khan Making Him Look Tall Onscreen. These 8 Pics Prove It. Hrithik Roshan Takes Fitness Challenge & Falls In Trouble.